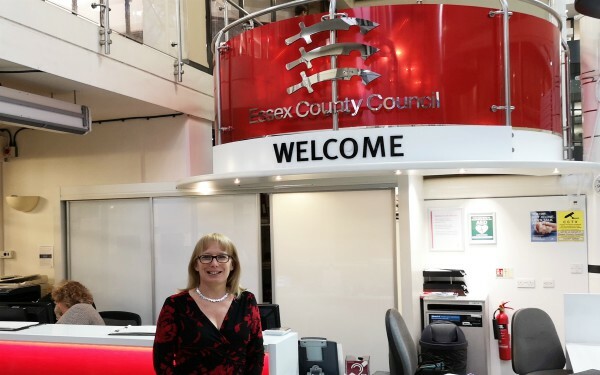 Essex council’s latest Ofsted inspection, published at the start of this year, highlighted the council’s effective management of caseloads, its understanding of its strengths and potential challenges ahead and its creative approach to direct work and practice, culminating in an ‘outstanding’ judgment overall. Inspectors were particularly impressed with the council’s “highly skilled” workforce and its relationship-based practice model that was felt to be “fully embedded and well understood by partner agencies”. “Leaders and managers have a comprehensive understanding of service strengths and emerging challenges, underpinned by a thorough and accurate self-assessment. They respond promptly and effectively to areas of development, for example, by developing an effective gangs intervention team in response to emerging risks and by purposefully strengthening staffing…to meet a rise in demand,” Ofsted’s report said. In the latest of Community Care’s Ofsted Interview podcast series, Essex council’s executive director of children, families and education Helen Lincoln, deemed “inspirational” by Ofsted inspectors, talks to us about the service’s work within gang intervention, managing caseloads and encouraging creativity in practice. She discusses the potential challenge of embracing technology in social work and why this will be a focus for the service in the future. Listen to the interview featuring Lincoln discussing Essex council’s developments and its next steps below, or subscribe to the series on iTunes, and read our quick table for the key findings from Ofsted’s inspection. The experience and progress of children who need help and protection Outstanding: Direct work takes place at a frequency and pace that is also well matched to their individual circumstances, resulting in children’s outcomes improving. Inspectors saw the sensitive exploration of issues during direct work reducing incidents of going missing and allowing children space to reflect on their individual circumstances and inform planning. Visits to children are also matched to their individual needs, often taking place at an impressive frequency above guidance requirements. The experience and progress of children who need help and protection Outstanding: Staff respond robustly to the needs of children at risk of child exploitation and those missing from home and/or missing from care. Social workers regularly visit children and talk through missing episodes to understand and explore the risks that children may face. This provides important intelligence through mapping children’s links. It is also shared with the hidden harm and missing coordinators and with the multi-agency missing and child exploitation panel to inform disruption activity. The experiences and progress of children in care and care leavers Good: Social workers and managers take decisive action when children can no longer live with their families, finding good-quality placements that meet their individual needs. When children are placed out of area, staff visit them regularly and provide good support. Appropriate notifications are made to host authorities, although the local authority is aware of the need to strengthen consultation with host authorities before placing children at a distance. The experiences and progress of children in care and care leavers Good: Foster to adopt is used when appropriate to support early permanence. Social workers recognise the importance of promoting all aspects of permanence, including special guardianship, adoption, long-term fostering and a return to family. High-quality special guardianship assessments inform decisions regarding whether children can safely stay within their extended family network. Careful thought is given to the relationships of brothers and sisters in considering future permanence plans. The impact of leaders on social work practice with children and families Outstanding: Social workers have a thorough understanding of the children they work with and are passionate about improving outcomes for them. Inspectors saw sensitive, creative examples of direct work with children and young people to help them to understand their heritage and individual circumstances and participate in their own planning. The impact of leaders on social work practice with children and families Outstanding: Leaders and managers have a comprehensive understanding of service strengths and emerging challenges, underpinned by a thorough and accurate self-assessment. They respond promptly and effectively to areas of development, for example by developing an effective gangs intervention team 10 in response to emerging risks and by purposefully strengthening staffing in the north quadrant to meet a rise in demand. Overall effectiveness Outstanding: The stable group of capable leaders and managers has an unerring focus on improving services and ensuring high aspirations for children. Through its involvement in the national Partners in Practice initiative, Essex is outward facing, supporting a number of other local authorities to strengthen their practice. At the same time, the local authority has continued to improve and sustain the quality and performance of its own services. Overall effectiveness Outstanding: Innovative practice is having a tangible, positive impact for children and their families. Effective management oversight across Essex ensures that services are of a consistently high standard in all four geographical areas in which children’s services are organised.